Trains run fairly late in Korea and there are even some in the early hours of the morning. Here you will find the times for the last trains leaving for Jochiwon from Seoul, Daejeon, Seo-Daejeon, Daegu, Busan, Cheonan and Cheongju. 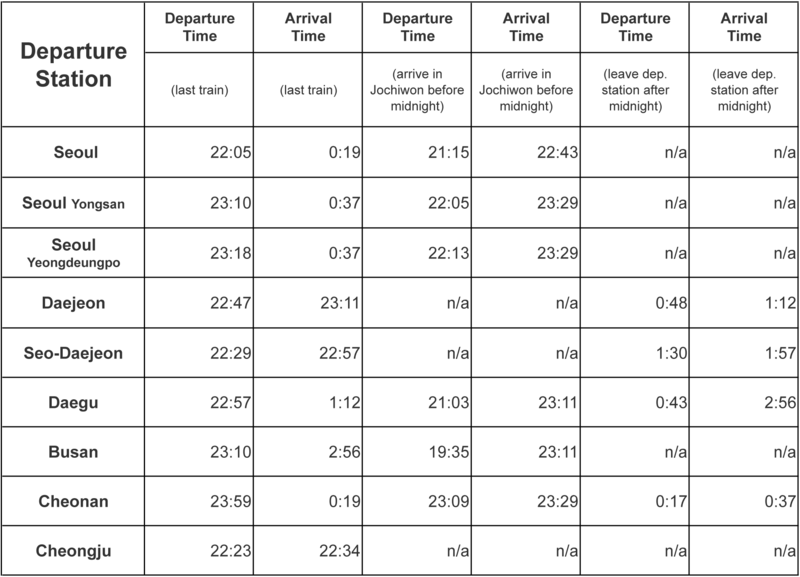 We have also included the time for the last train allowing you to arrive at Jochiwon Station before midnight. 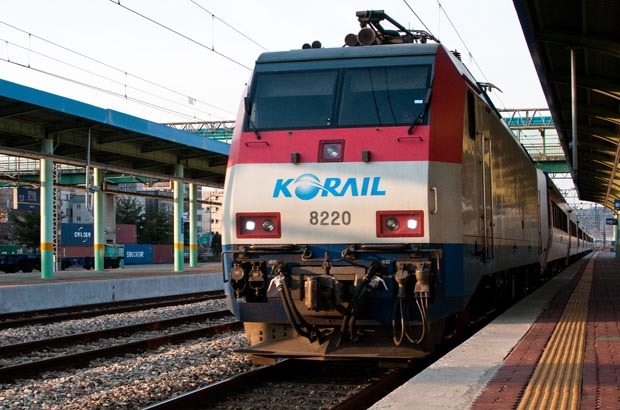 For more information on trains and up-to-the-minute train times please visit the Korail website.